As a human resources professional, I often witness recruiters struggle to find job candidates with the technical skills and experience their company needs. I also know that scores of military veterans have these skills but struggle to find work in the private sector because they are uncertain about the positions that are strong fits with their backgrounds. Recruiters often emphasize traditional corporate experience, yet glaze over veteran experience. American companies need to reevaluate how they evaluate talent to include veteran experience. At Sallyport, we have added a way for veterans to input their military experience in to our job bank so they can streamline their job search while inversely allowing our recruiters to match skills and experiences of job candidates — including military veterans — to vacancies in our job bank. Military vets bring with them strong qualifications and myriad skills they learned while deployed. From language skills to trade skills traditionally listed in job descriptions, veterans also excel in what recruiters like to call “soft skills.” These include detail orientedness, integrity, leadership, and critical thinking — attributes that are uniquely applied in military settings. The proof is in the numbers — across industries, veterans have a greater propensity to ascend corporate ranks than their non-military counterparts; per a recent LinkedIn survey, one in five veterans will rise up the corporate ladder to become an executive at his or her respective company. In other words, when given the appropriate opportunity, veterans not only succeed, they excel. Despite this, veterans are getting passed over for jobs because many recruiters don’t know the value veterans bring nor do veterans understand how their specific background as a soldier translates to civilian jobs. In many cases, former military personnel do not know whether they’re under- or over- qualified for a job, or if they should even apply. This is also a widespread problem for companies seeking talent: up to 41 percent of recruiters claim to be unaware of how military experience translates to civilian experience. At Sallyport, recruiters capitalize on veterans’ rare skill set by offering job openings specifically tailored to them, all while facilitating the transition from military to civilian life. 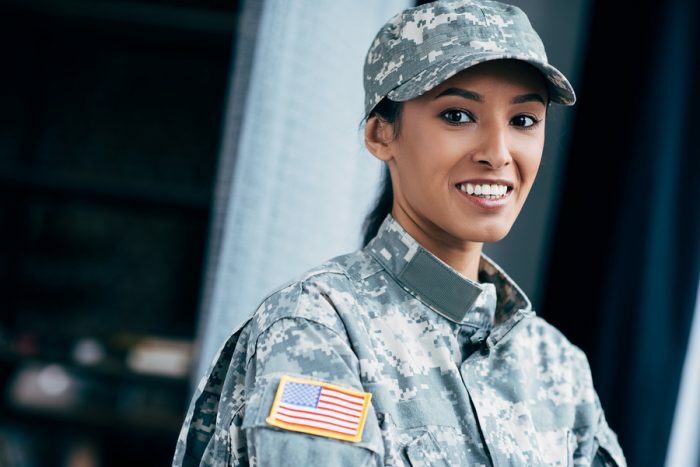 To ease with this transition, the recruiting website includes a helpful tool which allows potential candidates to match their military experience to applicable civilian jobs. By inputting their service branch and military job title, candidates can fine-tune their search to find specific opportunities that are most in-line with their personal aspirations and past experience. Companies across all sectors should use this framework when looking for talent, thereby bridging the gap between military veterans and civilian jobs. These tools work to the benefit of both parties involved. Beyond easing the job search process for veterans, they can also help employers determine where they will have an opportunity to excel most. At Sallyport, for example, this website matching tool is used to introduce candidates to their most pertinent role at the company; however, the job matching process is ongoing and continual –even after an initial job selection, a company’s goal should be to accommodate veterans’ transitions by re-assessing their current level of fulfillment at their current positions. Every year, over 200,000 veterans leave the armed services to pursue a new life as civilians. Beyond the difficulties in finding compatible jobs, it’s tough for these 200,000 veterans to overcome the misperception that, as military veterans, their skills are limited to the battlefield. Ultimately, understanding the diverse talents veterans bring to the table can help correct this. Recruiters who are finding talent the right way can invest in these initiatives because their companies recognize the value of a military degree, but also understand the difficulties incumbent upon military personnel having to prove their worth despite having already put their life on the line.